Mark started to play Schecter Dream Machine Telecasters as early as 1980. When he got four Dream Machine Strats (two red, one sunburst – which was soon stolen and replaced with another one, and one in blue) at Rudy’s Music Stop in New York that year, he also got a black Schecter Telecaster, black finish, black pickguard, black hardware, contrasted to a white binding and a birds-eye maple neck. This was the guitar he recorded Solid Rock of the Making Movies album with. On stage on the following On Location tour (1980/81), he used it not only for Solid Rock but also for Telegraph Road (the album version was recorded in 1982 with the sunburst Schecter Strat). 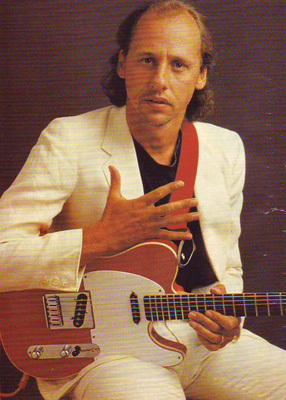 About 1984 he got a second Dream Machine Tele, the red one of Walk of Life (which he still has and uses regularly on stage). Both of these Schecter Dream Machine Teles were equipped with the tapped Schecter pickups F520T (bridge) and F521T (neck). 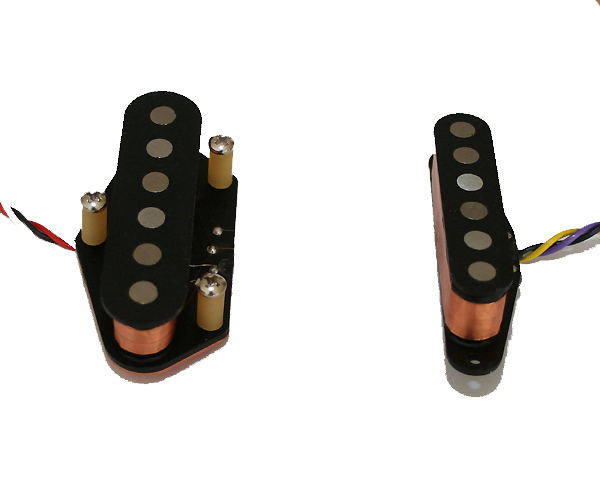 These were similar to the F500T pickups for Stratocaster. After reviving these for the loaded Schecter-style Strat pickguards (available on this site), it was logical for me to have a look at the Tele pickups as well. In fact I was able to investigate several original Schecter pickups from different years. 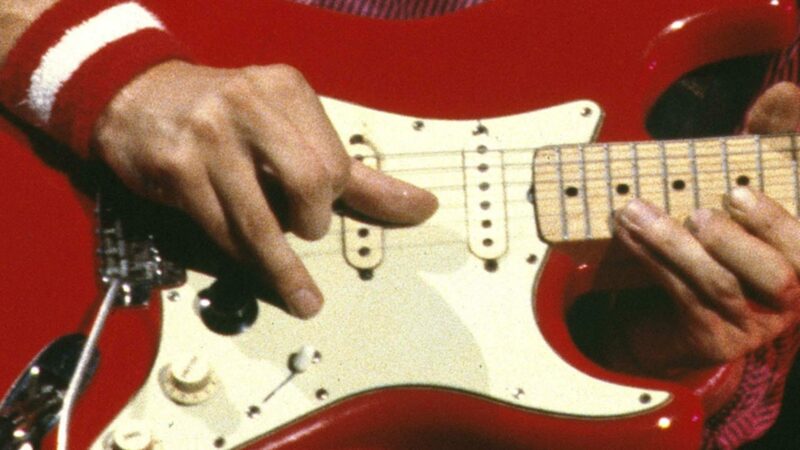 Terence Reis of The Straits for example has these in a guitar which is said to be from the same run as Mark’s Tele (thank you for your help again, Terence). I found some minor differences between different years, and I took the ones from the 80ies as the basis of these reproductions. The pickups are again manufactured by Harry Haeussel (of Haeussel Pickups) exclusively for mk-guitar.com. Harry already makes the F500T clones for us, and the high quality of his pickups in general is beyond question. 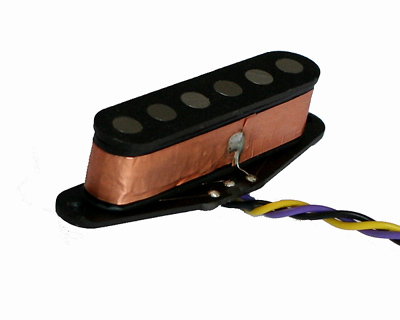 Unlike the Dream Machine Strats, Schecter Teles did not have mini switches for switching the pickups from tapped to full to off. They had the standard pickup selector switch, and each of the two potis was a push-pull poti that switches the pickup to the full coil when being pulled. 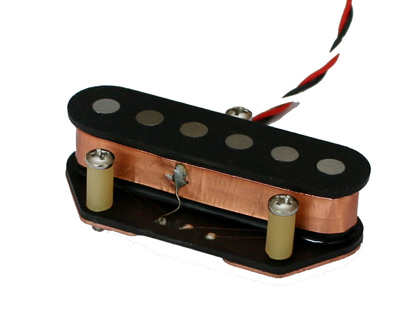 For this reason you don’t need a special control plate, you can put these pickups in any Telecaster. Like the F500T, the F520T / F521T have the bigger 6.5mm (1/4″) alnico pole pieces (they must not be confused with the Schecter Monstertone pickups which have a ceramic bar magnet). These fat magnets create a unique sound with more bass and a more mellow, less harsh tone than the smaller standard pole pieces. And they have the same copper-shielding foil around the coil that is a big part of that magic look. With these pickups Mark recorded the famous Walk of Life rhythm picking on the Brothers in Arms album (pickup position bridge & neck). When you pull one (or both) of the potis you get a much fuller, fatter sound, ideal for rock stuff – Solid Rock. Available for the neck position, for the bridge position, or as a set (bridge & neck) – exclusively on mk-guitar.com.